Last week, an article on Apartment Therapy caught my eye: How Much Does it Really Cost to Live in Chicago? While a few things were a bit scary – the median rent for a two bedroom in Gold Coast is $5100 – overall, Chicago was more affordable than LA, Brooklyn and Boston. Still, with the median rent for a studio in Chicago ranging from $600 – $1281, what’s a recent grad moving to Chicago to do? · Get to know the different neighborhoods. As the AT article clearly demonstrates, price varies significantly from neighborhood to neighborhood. · Don’t worry if you can’t afford to live in Lincoln Park or the Gold Coast right away, each neighborhood has its own charming appeal and is no more than a 45 minute train ride away from nearly anything in Chicago. A few great, affordable neighbors include Uptown, Buena Park and Lakeview. · Before picking which neighborhood you want to settle down in, ask yourself what type of environment is best for you. Do you like high-rises that are surrounded by skyscrapers? Would you prefer a quiet, residential area? Maybe a neighborhood with a lively night life? While numerous Chicago neighborhoods share similar characteristics, it’s a matter of identifying exactly what you want before deciding on a neighborhood just because you read a convincing article on a realtor’s website. · Scope out as many boutiques, resale shops and department stores as possible before making any large furniture purchases. · Department stores are always having huge sales! Marshalls and World Market are two of my favorites. Also, Ikea is always a safe bet. Although it’s not exactly the most unique furniture in the world, it’ll absolutely suffice until you secure that promotion you’ve been hoping for over the past few months. · Resale shops can be very hit or miss. Most of the “antique-y” shops tend to be overpriced, so I would not advise using those when on a tight budget. However, resale shops like The Brown Elephant in Lakeview and Andersonville often have pretty good finds for outrageously low prices. · Andersonville has a huge range of furniture boutiques. Similar to “antique-y” shops, they tend to be on the more expensive side, but the furniture is always very elegant. 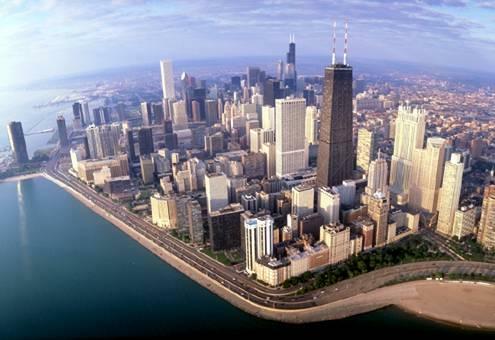 · Chicago, like all large cities, has a higher sales tax than most of the country. · When it comes to grocery shopping, I swear by Trader Joes. They offer a great array of organic, non-GMO products for extremely reasonable prices. · For household purchases, Chicago has recently seen Walmart Expresses and Neighborhood Markets opening throughout the city. While Walmart has plenty of ethical pros and cons, the pro relative to this article is their competitively low prices for the recent college graduate on a tight budget. · Chicago is a city known for its convenient and reliable public transportation. However, Chicago is home to numerous alternatives that are affordable and accessible from nearly any part of the city. · Most recently, Divvy Bikes have been popping up all over Chicago. These commuter-friendly bicycles are great for tourists and locals alike. · Zipcar is a great alternative to renting a car when exploring outside of the city. 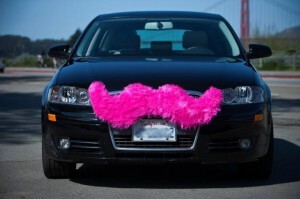 · In addition to your standard taxi, Chicagoans have the option of using Lyft or Uber. Both Lyft and Uber are mobile apps that aid in locating and reserving rides from nearly anywhere in the city.